Discovery of, and access to, observed ocean data is key to responding to marine risks, effectively managing ocean resources, and conducting excellent research. This is a challenge across Canada’s ocean regions, with data and forecasts collected by various programs and agencies being scattered across a range of web pages that can be difficult to find and access. Canada's leading oceans research centres have been seeking to address this issue of fragmentation for decades, and various scholarly reports and publications have advocated for a national integrated ocean observation system for Canada (CIOOS). MEOPAR, with its national scope and networked approach, is well positioned to collaborate with regional ocean data managers, government agencies, ocean-related industries, and academia to support and advance this important initiative. The interdisciplinary nature of the problem requires information managers, computer scientists, oceanographers, biologists, and many others to identify and implement solutions; interdisciplinary networks are necessary to support these kinds of collaborations. 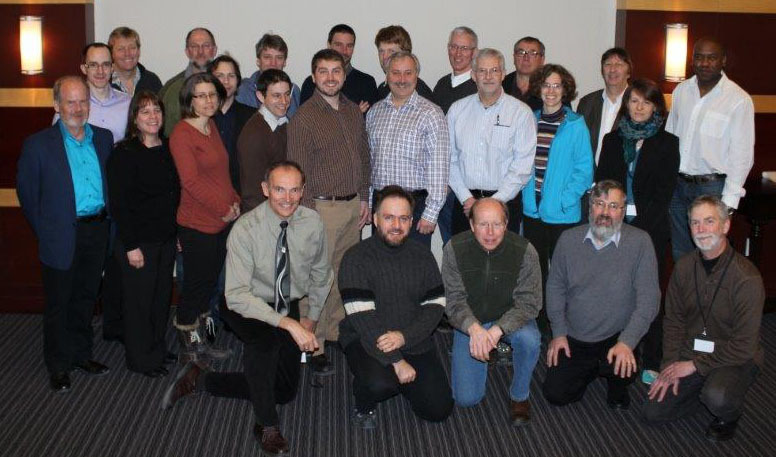 Hosted an Expert Forum on Ocean Data Management, where international experts from ocean data networks in the US and Europe worked with Canadian stakeholders to identify best practices and define a coherent vision for CIOOS. The resulting workshop paper will inform government policy on CIOOS. Create a platform for “citizen oceanography” where citizens can, themselves, participate in collecting, presenting and sharing ocean-related data. Maria-Elena Froese, Melanie Tory. 2016, Lessons Learned from Designing Visualization Dashboards, IEEE Computer Graphics and Applications Journal, 36(2), pp. 83-89,10.1109/MCG.2016.33.